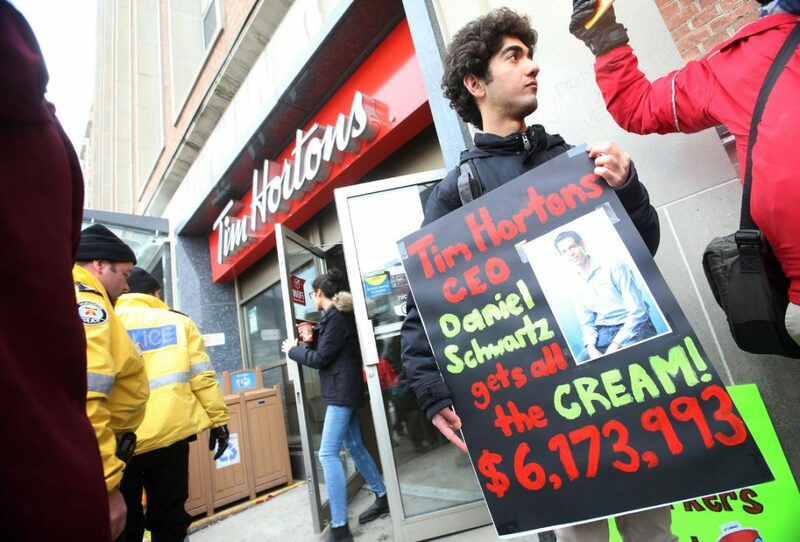 Workers and community activists protest at Tim Hortons as some Tim's Ontario franchisees eliminated paid breaks, fully-covered health and dental plans, and other benefits for their workers in response to an increase in the province's minimum wage. To access this post, you must purchase a free, one-month Trial Subscription or visit the Premium Content Store to download a PDF of the post. If you already have an account, please login here.